Galaxie 500 frontman Dean Wareham is set to release his new self-titled solo album on March 11 via Double Feature Records. Rather than keep you waiting that long, however, he's shared a new video for the record's "The Dancer Disappears." The three-and-a-half-minute song is a wistful indie pop anthem complete with spaced-out synths, gently plucked guitars and Wareham's timeless vocal delivery. 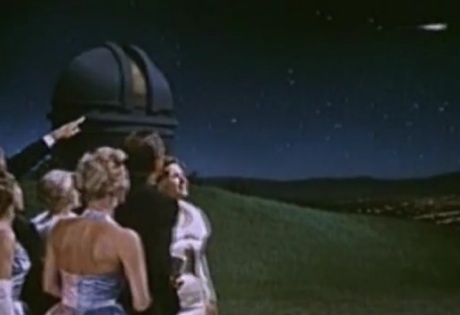 The video, on the other hand, uses vintage film footage of well-dressed socialites checking out cars outside of an observatory. Check out the video for "The Dancer Disappears" below.